One of our first predictions for 2017 was that North Broad Street would take a major step forward this year, and it didn't even take two weeks for news to emerge that supports this expectation. Hey, when you're good, you're good. 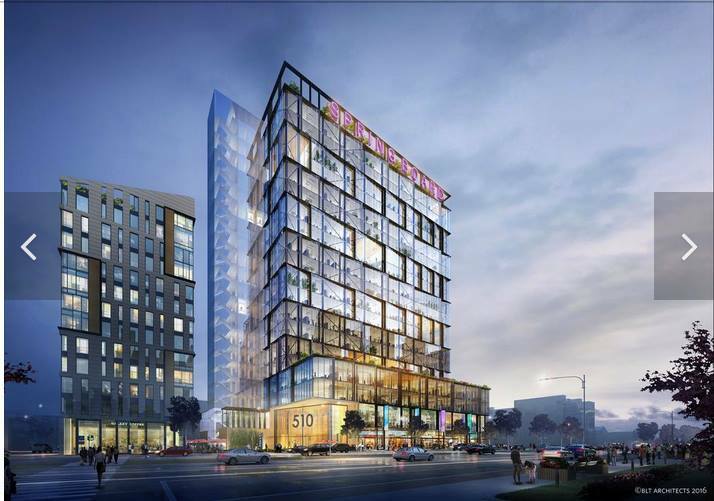 Yesterday, Philadelphia Business Journal published a story (behind a pay wall) about plans for Parkway Corp. to partner with Nightingale Properties to redevelop the large surface parking lot on the northwest corner of Broad & Spring Garden. You may recall, we told you over the summer that Parkway had purchased this property but we didn't know anything concrete about their plans. Now, thanks to PBJ, we've got some significant insight and some pretty renderings too. 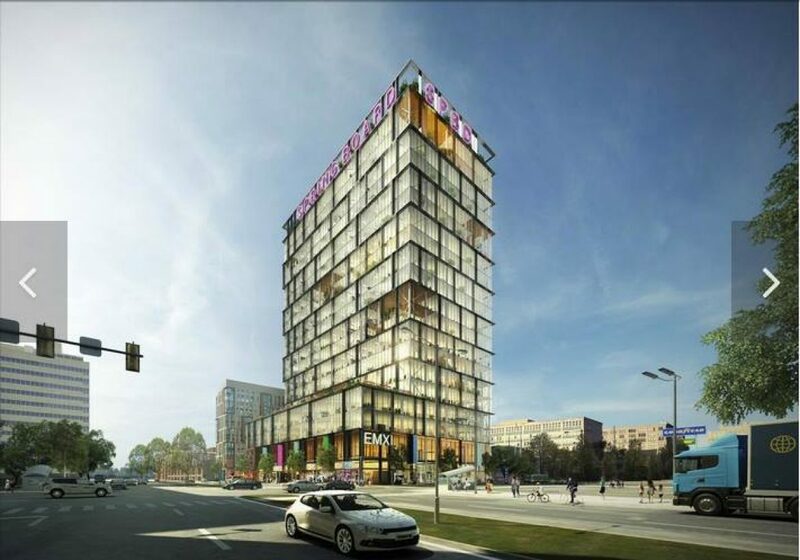 At the corner, look for an 18-story office building with 586K sqft of leasable space. To the west, closer to 15th Street, plans call for a residential building with 127K sqft of space and 144 apartments. The number of units relative to the size gives us an indication that these units will be pretty small, which is pretty consistent with demand we're seeing in the market these days. The office building will have about 80K sqft of retail space over two floors, with roughly 5,000 sqft of retail in the residential building. There will also be a green space as part of the project, in between the buildings. BLT Architects did the design work, and assuming the actual buildings look like the renderings, this corner will be getting some of the sweetest looking new construction in recent memory. This will, of course, be the third major project for this intersection over the last half decade. A few years back, we noted the renovation of a former government office building into an apartment building called Tower Place. More recently, EB Realty converted the former Thaddeus Stevens School of Practice into 59 apartments, the Mural Lofts residential project. And remember, there's a small shopping center coming soon next to Mural Lofts, so there's still development to come on the northeast corner. Yeah, North Broad Street is heading in a very positive direction, and now we're left to wonder what will be our next prediction that comes true.